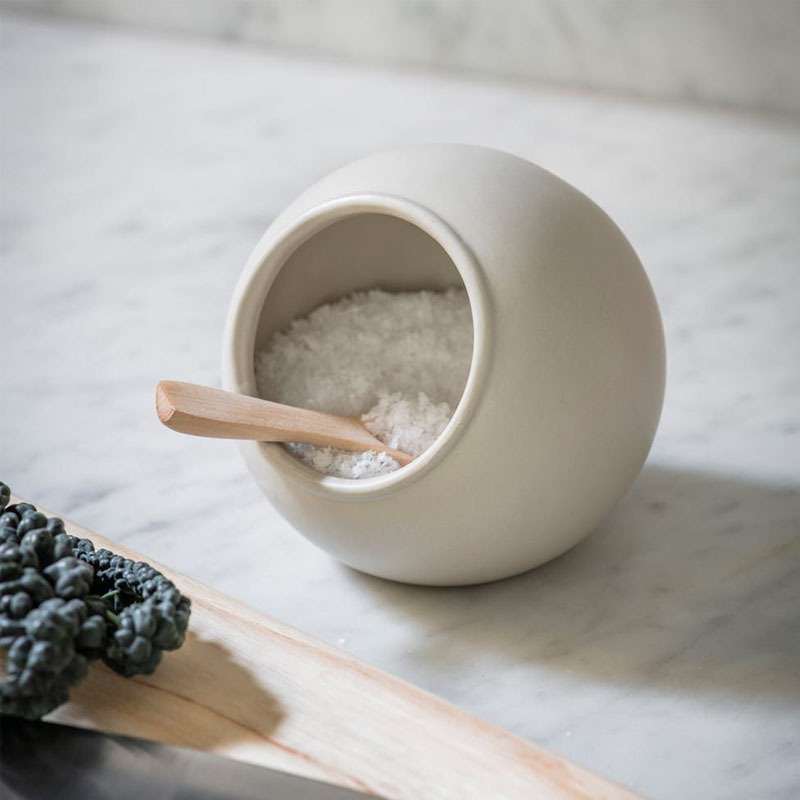 A must have item for every kitchen, the Salt Cellar can be positioned beside a stove or aga ready to ensure every homemade meal is seasoned to perfection. The simple, circular design comes crafted in Stoneware in our off-white Chalk colourway. It comes complete with a small Birch wood spoon to scoop out the ideal amount of salt without needing to lift any lids. 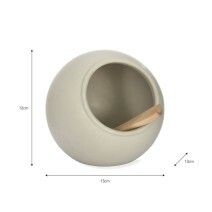 The piece comes boxed making a lovely gift for culinary friends and family.